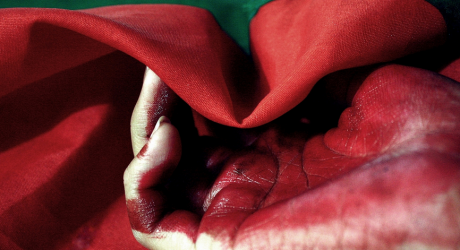 Baluchistan is bleeding. 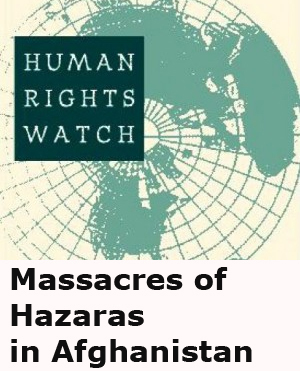 The massacre of Hazara community continues with complete impunity while the most intriguing is the eerie silence prevalent in the corridors of power – both at federal and provincial level. Perhaps, it is not on agenda of political bigwigs to speak for the community and do something viable to protect them from extremists and bigots having a field day in the province. The role of security agencies is also dubious but ‘fortunately’ they operate under civil authority. March 29, was also no different for the community. At least five people were gunned down and six others received critical injuries when a van carrying people from Hazara community was ambushed on Spini road in Quetta. The assailants still remain ‘unidentified’ and at large as usual. Sajjad Hussain, one of my friends from the community, told this author the horrible incident took place just a few yards from check posts of Frontier Constabulary and police. So what? The security agencies have got hundred other important errands to do. 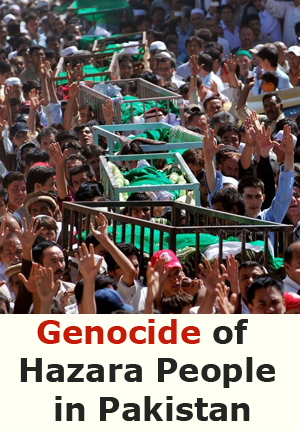 Available statistics show that around half a million Hazaras live in Quetta while more than 700 – obviously innocent – have been killed so far. 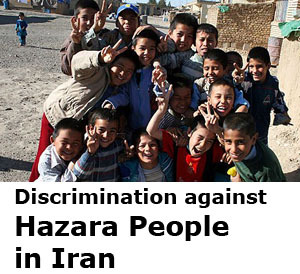 The community is generally considered to be peaceful and nonviolent. Who is behind the killings? Intelligence agencies? Banned outfit – Lashkar-e-Jhangvi (Balochistan unit)? Dissident Baloch or activists of Balochistan Liberation Army? Or foreign element is behind the killings of the community? Whatsoever, don’t worry. The security agencies have been working on some ‘valuable’ leads and culprits will be exposed soon. Wait, please. Brief and tarnished history of our country as it is shows us that back in 1971, our hyperactive security agencies made their best to staunch the uprising in East Pakistan with the help of al-Badar. Yes, you got it. The outfit was an offshoot of Jamat-e-Islami and was tasked to teach a lesson to ‘traitors’ in East Pakistan – now Bangladesh. Who has imported Punjab-based Lashkar-e-Jhangvi – an extremist outfit obviously – to Balochistan? Is it created on the same lines of al-Badar? We leave these questions better to be answered by people sitting at the helm of affairs. 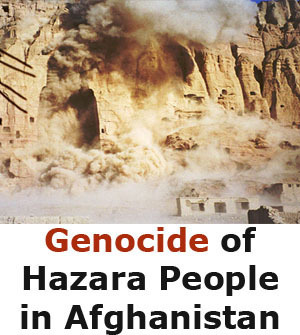 But remember one thing; much touted foreign element behind unrest in Balochistan is yet to be exposed; let alone bringing killers of Hazara community to justice. However, the most intriguing is the version of locals on the routine killings. My friend Sajjad who left Quetta some three years back owing to life threats opine that most of the attacks on the community take place in Baloch populated areas. 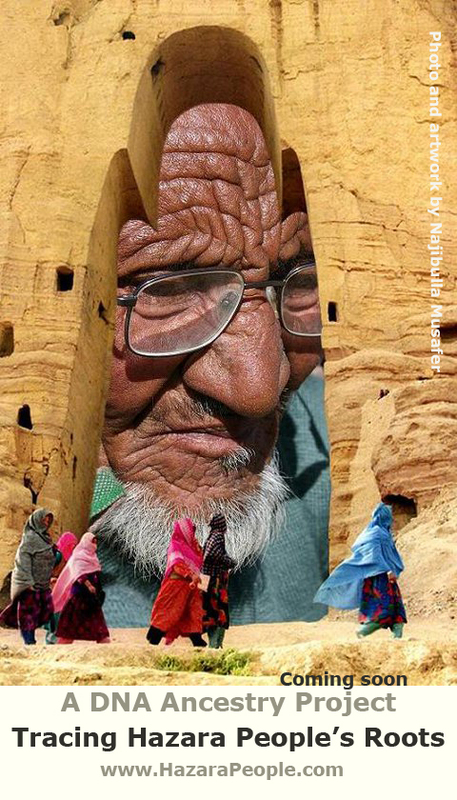 The impression is given the community is being eliminated by Baloch dissidents as they are out for Greater Balochistan. Matter of the fact is the community is provoked against Baloch rebels after each incident. It seems as if the ‘secret hands’ want to crush the rebels with the help of Hazara community, this is what the locals say. Irony of the situation is that federal and provincial governments have never bothered to constitute any ‘high-powered’ inquiry committee to probe genocide of the community. Hyperactive and restless Rehman Malik has also never deemed it worthy of paying a visit to Quetta to get updates on killing of the community. Obviously, the president and prime minister have got dozens other matters of public interest to look into and they issue statements from Islamabad to resolve Balochistan issue. What else can they do? The complaint of the community has got weight that Chief Justice being a native of Balochistan remains oblivious to the almost daily attacks on the community. 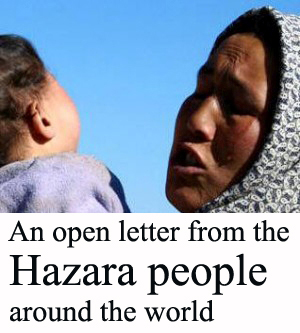 Massacre of Hazara community is, indeed, a matter of public interest and we plead to the chief justice through this article to take suo moto notice of the issue to mitigate sufferings of the community. The provincial government and law enforcement agencies should be directed to immediately restore sense of security in the community; otherwise they could also – God forbid – raise slogan for liberation of Balochistan. Time is running out. Let’s see how and when our public representatives tackle the horrifying issue. Stand with Eachother before its too Late ?? ?